A trip to Santa Fe feels like a voyage into the past. 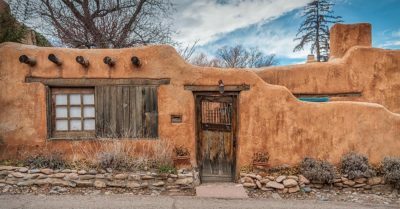 Walking through its adobe neighborhoods—or around the busy Plaza that remains its core—there’s no denying that Santa Fe has a timeless, earthy soul that dates back to the Spanish empire. Today, Santa Fe has a local culture that’s all about healthy living, soulful expression, and surprisingly urban sensibilities. You will want to capture that feeling and bring it home with you. While Santa Fe’s artistic inclinations are a principal attraction, the natural beauty is more enchanting than photographs can convey. 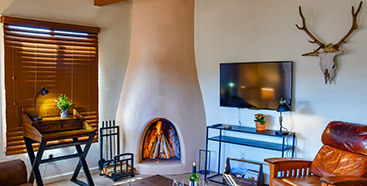 Fort Marcy Hotel Suites is chic Southwest-style luxury on nine acres of landscaped grounds just blocks from Santa Fe’s historic downtown plaza. Views overlook the city center and mountains. Choose from suites with full kitchens, private balconies, and more. 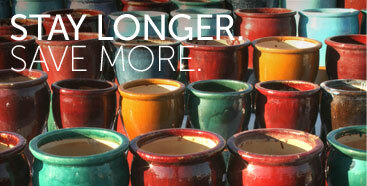 For the guaranteed lowest rates on Santa Fe vacation rentals, book direct! 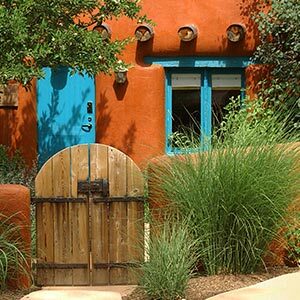 For the Santa Fe getaway Fort Marcy is the ideal blend of luxury, convenience, and beauty – vacation perfection.